Show off your sense of style as well as your horse with our fun color options! Green is the color of the season! 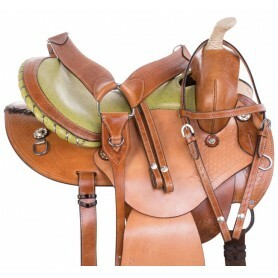 The round-skirt barrel saddle is designed to provide comfort and performance for the serious barrel racer.